Heading to WWDC this year? 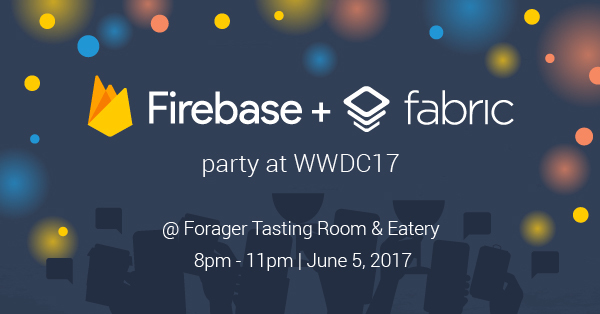 Join us at the Firebase + Fabric party on June 5th as we celebrate with the top iOS developers from around the world. We’re excited to throw our very first iOS developers party at this year’s conference - co-hosting with our teammates at Fabric who’re also deeply passionate about mobile development. If you’re going to be in town, join us for a night to mingle with other developers, meet engineers and PMs from the Firebase and Fabric team, showcase your latest app, or whatever strikes your mood. We look forward to hearing about all the cool stuff you’ve been working on. Tickets are limited so request your invite today!